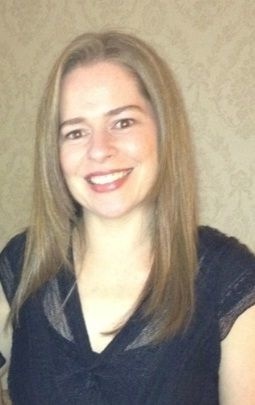 Today we welcome author, Juliet Madison whose debut release has an intriguing premise. What happens when you wake up to find you’ve missed the last 25 years? I love books that play with time and when it’s done with humour it’s right up my alley. Juliet is offering commenters an opportunity to win a $50 Amazon voucher (details below). But first, let’s have some fun! 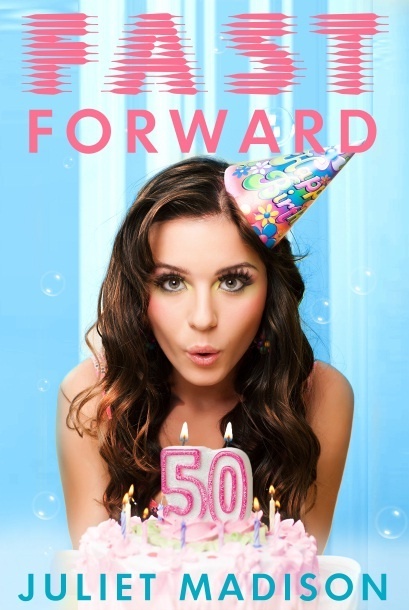 Thanks Louise for having me on your blog today to talk about the food in my debut novel, FAST FORWARD, a romantic comedy about a model who wakes on her twenty-fifth birthday to find she’s now a fifty-year-old housewife married to the nerd she used to tease in high school. Fast Forward is mostly set twenty five years into the future, so when I was writing it I had to think realistically about what food might be available. It’s not too far from now, so it’s likely that most things would be the same, but I made sure to add a few interesting twists in the food department! When my character, Kelli Crawford (Kelli McSnelly in the future, thanks to an unfortunate surname by marriage), wakes up in the future, she gets treated to a birthday breakfast of smoked salmon, eggs, grilled tomato, and warm buttery toast. Big deal, you might think, but… there is something different about the eggs in the future. They are yolkless. Yep, those delicious orangey-coloured centres that make the eggs delicious are gone. Not from all eggs, just some, so that those ultra health-conscious types can get their protein without all the extra fat and cholesterol. Not only that, but they can be cooked in an instant thanks to the Kitchen Assistant machine which is a staple household appliance in the future. Simply pop the egg in a chute, and voila – out pops a boiled egg a moment later. No mess, no fuss. Kelli’s son complains about this ancient machine though, he thinks they should upgrade to the new version which also peels the egg shell for you. I dug the spoon in a second time and then paused, my eyebrows drawing together. “There’s no yolk in my egg,” I remarked. “You always prefer to have the yolkless eggs, Mum,” Ryan said. “Oh, you wanted a treat. I should have thought, sorry,” Ryan said. There’s nothing fancy about coffee in the future, but due to an increased prevalence of addiction among people, it is now easier than ever to get a fix. Most car models come complete with an inbuilt coffee machine. This delivers the warm liquid to your taste buds through a straw that protrudes from the dashboard, perfect for keeping the driver awake on those long trips. My eyes darted all around the car. Holographic GPS map just under the windscreen, a small steering wheel that resembled an Xbox controller and a—what was that? I tugged on what looked like a straw and a smaller straw shot through the middle. Okay, the resemblance ends there. No way would I eat that amount of chocolate in one month let alone one day. Although at the mention of the word chocolate, my stomach grumbled and my previously dry mouth salivated. Chocolate cake would be nice, just this once. It was my birthday and this technically wasn’t my real body. Besides, it’s beyond help anyway, might as well indulge. I assessed the menu options and resisted the urge to express shock at the prices. Not to mention some of the strange food combinations. By the looks of it, genetic modification really did take off, despite all the protests. Turken, cranberry and camembert melt on broccolato rosti. What the heck was that? Turken … aha! Turkey Chicken. Broccolato … ah, so someone had found a way to genetically combine a potato with broccoli, huh? Ingenious for all the vegetable haters/potato lovers out there. “What will it be, madam?” the waiter asked me as he approached. Madam, or in other words … old woman. I was used to being called Miss and Love and Sweetie. “I’ll have the turken, thanks.” I swallowed a giggle. At Kelli’s fiftieth party, there’s not a lot mentioned in the food department, mostly because Kelli is too busy dealing with a potentially life-threatening underwear issue, strangers wishing her happy birthday, and downing as much alcohol as she can get her hands on. Champagne is still popular, but served in what look like test tubes, and green-tinged lime mineral water seems to be the non-alcoholic beverage of choice. Chocolate also makes an appearance (naturally). Guests are treated to chocolate truffles with irresistible names: Chocolate Dream, Chocolate Passion, Chocolate Scandal, Chocolate Secret, and Chocolate Love. Which of the above chocolate truffles would you like to eat if you had the choice? Or which two foods would you would like to see combined in the future? Leave a comment for a chance to win a $50 Amazon gift card or a $25 Amazon gift card. Comment on other blogs during Juliet’s February blog tour for more entries into the draw! Winners drawn 1st March. You can also win a bonus $25 gift card by purchasing Fast Forward and emailing your receipt to fastforwardbook (at) gmail (dot) com – replace (at) with @ and (dot) with . I LOVED Fast Forward! 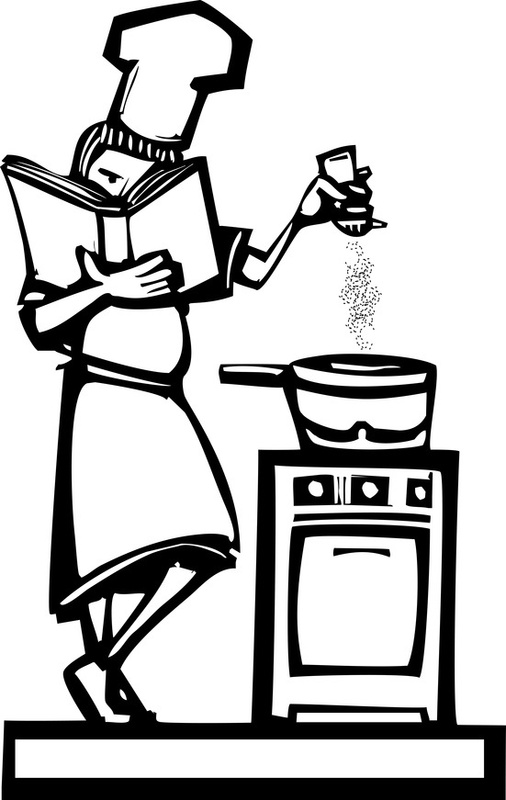 (And I would LOVE one of those antiquated Kitchen Assistants! Can you please design them and build them? I’ll be your first customer. Aaah, chocolate, where would we be without it? And (as anyone who knows me will attest) I’m going way out of character for this one—I’d like the Chocolate Scandal Truffle, please ;-P You never know what might happen. Great blog. Thanks for having Juliet as your guest, Louise. Hi, Serena. I’ve loved having Juliet as my guest. Maybe we need to go hunting for some Choc Scandal, huh? Thanks Denise, I wouldn’t be surprised if they invent one! Two foods combined in the future, it’d have to be bacado, bacon and avocado (this combination on toast is divine). Although bacon combined with almost anything would be great, everything tastes better with bacon. Oh, Melinda, I sooooooooo agree. Hi, Juanita. Maybe companies like GE and F&P are in talks right now about these machines. Couldn’t be any crazier than some of the things that have come on the market over the years. Thanks so much, Juanita. I would love to have the inventions, if only I knew how! Can’t I choose all the chocolates? Yum. I don’t know about a food combo, maybe a cross between a lemon and strawberry so you get a sweet and tart fruit at the same time. I love the excerpts, it sounds like you have a ton of fun being creative with this concept. Shannon, I thought exactly the same thing. It sounds like the best fun of all time, dreaming up gadgets and foods of the future. Thank you Juliet. Lovely read, vibrant and fun. And keeping my chocolate addiction hidden, it would have to be the Chocolate Secret Truffles, they sound wickedly tempting. Grr. Wrote a lovely long comment and then my internet dropped out just as I hit post and now it’s gone. Hate that! Wishing you all the very best with Fast Forward. It sounds a hoot….if a little scary with those yolkless eggs! Don’t ya hate it when that happens, Cathryn? Anyway, it’s the thought that counts, and thanks for taking the time to leave another comment! And the yolkless eggs would make it much easier to separate eggs I think!